Last Saturday, April 14, I took part in an exciting youth party held by www.neocha.com. I was so impressed to see so many young people, some were local while some were obviously from other countries, eg. America, Britain and Japan, Korea etc, and I even saw quite a few middle aged foreign visitors there! I met with Jon Lombardo from the US, who is one of the Neocha founders, we talked about why and how he organised this activity in Shanghai, and what he was going to do for the next step. Jon told me that Neocha was a platform for young people who had the passion and ideas to create their own arts and hold events, to inspire creations among young people. That was why I saw so many young people, but quite a few of the young artists seemed to be from Japan or Korea. I think Japanese and Korean fashion and trend is still having an impact on Chinese young generations, which keeps getting stronger. I’m really glad you enjoyed NeoSpring and thanks for the review ! I wanted to quickly clarify some of my comments about Beijing and Shanghai. First, I love Shanghai. I live here and Shanghai is certainly where Neocha will be centered for the foreseeable future. We started out in Shanghai and we absolutely support our Shanghai users (most are from Shanghai and two of the co-founders are local Shanghainese). We will provide them with the very best service that we possibly can. That said, Beijing (and Guangzhou) are also a hotbeds for creative communities and we are planning some offline events there as well. 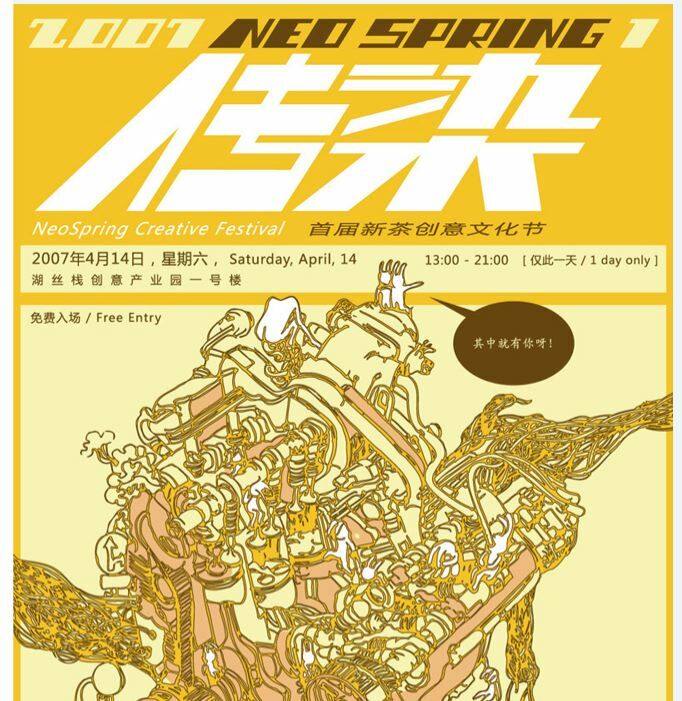 For example, Neocha is currently collaborating on a couple of upcoming events like the experimental music stage at MIDI music festival in Beijing and Fengjing Photography Exhibition in Guangzhou. While I personally feel that the indie music scene in Beijing is better than Shanghai, we are working with groups like Yuyintang and 4Live to support the local music scene here in Shanghai and there is no question that things are getting better all around. As you certainly know, the great thing about the internet is that it is not location specific. We see a lot of amazing stuff coming out of Chinese creative communities and if Neocha helps young people in any city in China to discover, interact and collaborate then we are achieving our goal. P.S. In case you are interested in the specific geographical breakdown, in the first week of the Neocha.com, 63% of visits to Neocha were from Shanghai and 15% from Beijing so we certainly are Shanghai-centric!